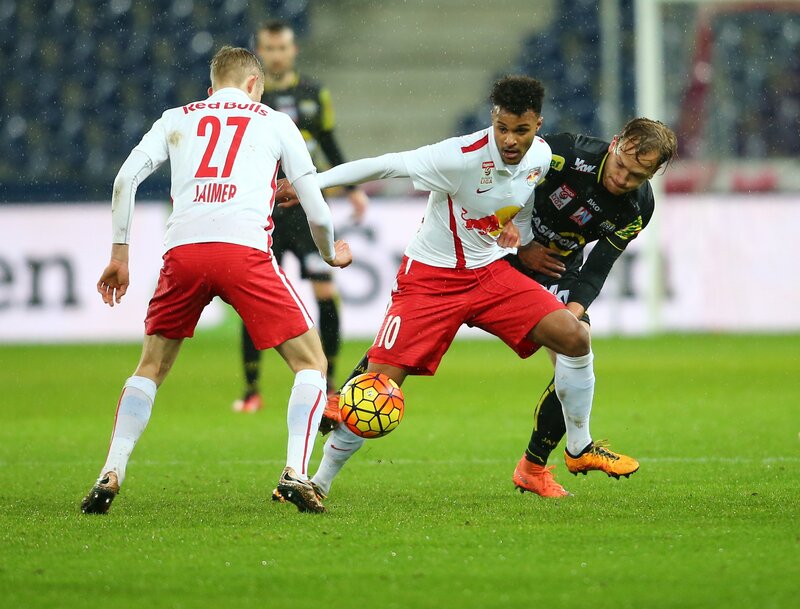 The Red Bulls won their first home match of the year 2-0 against SCR Altach with goals from Paulo Miranda (70') and Dimitri Oberlin (83') to remain at the top of the tipico Bundesliga. 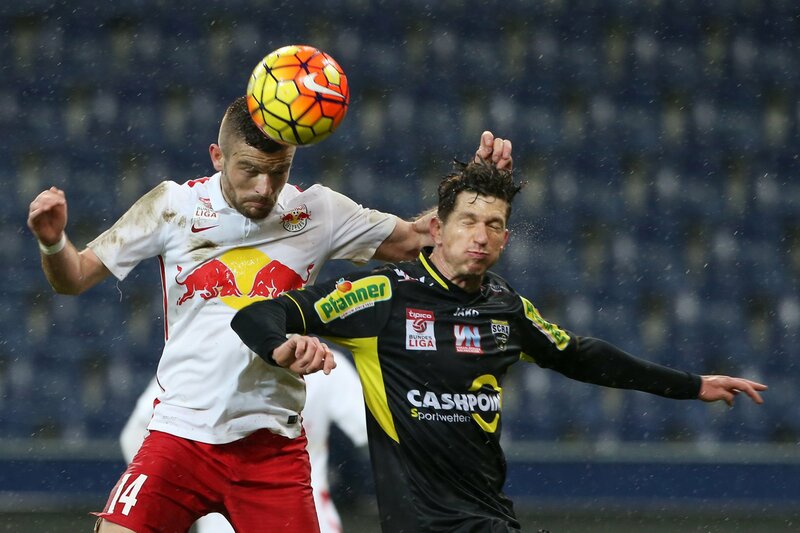 After seven Austrian Bundesliga matches unbeaten, the Red Bulls were defeated last weekend in Ried. To remain on course for the league title, our team knew from the outset that they couldn't afford any more slip-ups. There was therefore some intensive training this week to prepare for the meeting with the difficult opponents. 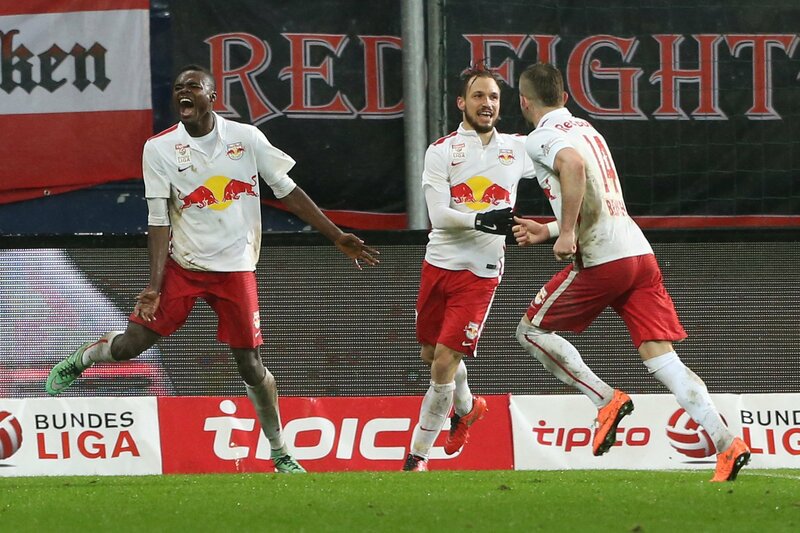 Although the Red Bulls began with an injury-depleted side, they were able to celebrate the long-awaited comeback of Naby Keita. 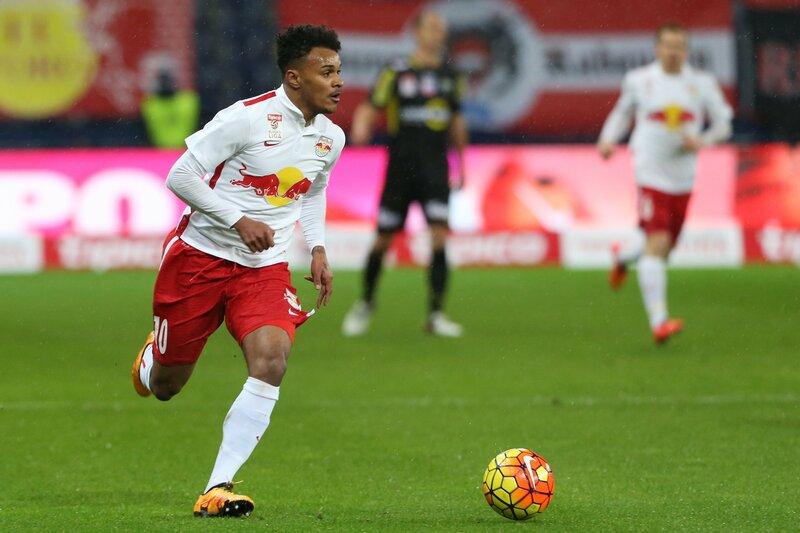 Our midfield dynamo was brought on in the 65th minute to great applause from the Salzburg fans. The biggest changes were made in attack, however, with Jonatan Soriano starting on the substitutes' bench due to injury and Smail Prevljak partnering Dimitri Oberlin up front. The Red Bulls showed right from kick off in their first home match of 2016 today that they didn't want to take their foot of the gas in the slightest in front of their own fans. They raced into the game with plenty of verve and spirited runs on show, getting two good early chances falling to Valentino Lazaro (4') and Konrad Laimer (6'). Altach were able to hold their own at the start against the Red Bulls' attacking pressing game with plenty of bustle and a few fouls. The Red Bulls got their first big opening after a quarter of an hour of play thanks to some slick combination play between Smail Prevljak and Valentino Lazaro, who was denied at short range by Andreas Lukse. The Altach goalkeeper was only able to parry the ball away, and Dimitri Oberlin (15') went close on the rebound. Although our team had much more of the game, Altach were able to get an increasingly good defensive grip as the first half progressed, mostly stopping our attacking efforts at the edge of the penalty area. 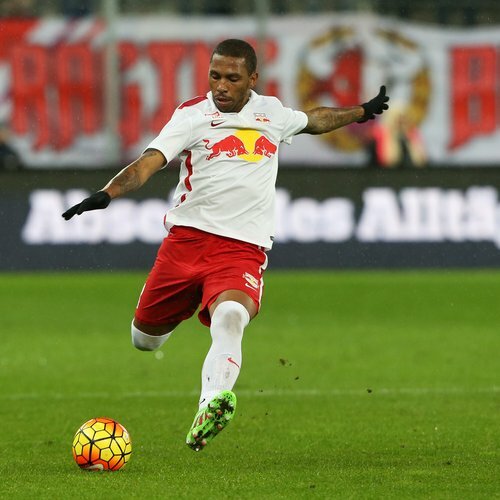 The Red Bulls threatened from a set piece shortly before the end of the first half. Andi Ulmer (42') was able to curl the ball over the wall from a good 25 metres out, only for it to fly a fraction wide of the right post. Valon Berisha had a free header from the six-yard box in first-half stoppage time, and thought he had put Salzburg into the lead, but the officialls quite rightfully disallowed it for offside. Our side turned the throttle on again after the restart, although there was little to note until the 60th minute, when Oscar Garcia brought the Red Bulls' chief playmaker onto the field in Naby Keita. The Guinean received a rapturous ovation as soon as he had finished his warm up and was preparing to come on from the touchline. 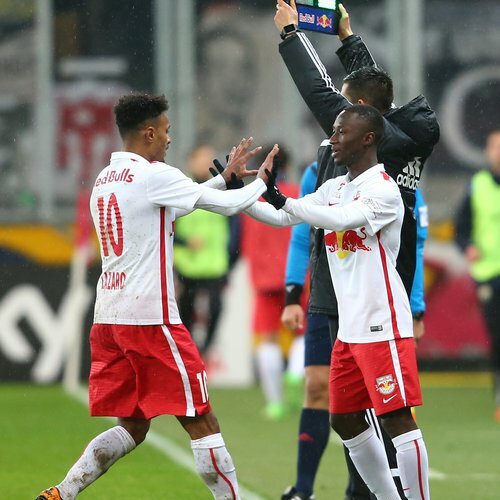 Keita injected more impetus and order into the Red Bulls' play. He could only watch on like the others, however, when Bernardo was sent off when receiving his second yellow card for a foul on Jäger. 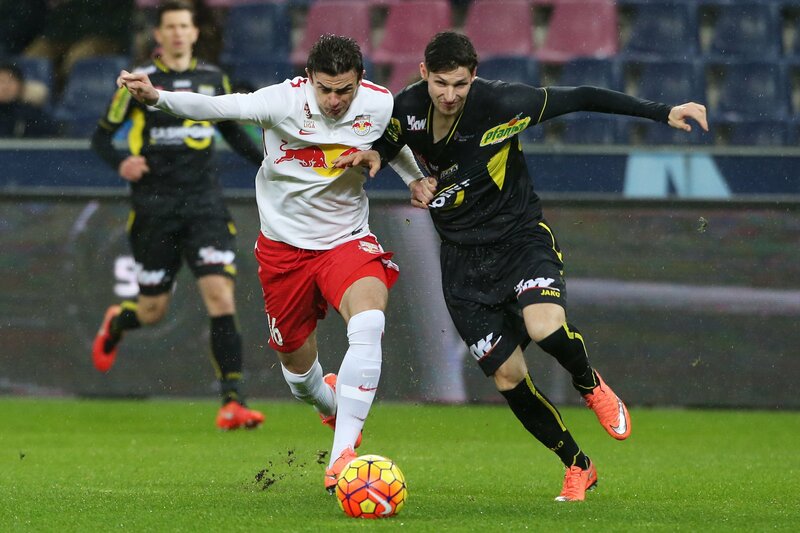 Despite being reduced to ten men, the Red Bulls were soon able to gain the vital opening goal via Paolo Miranda. Andi Ulmer crossed the ball in from a free-kick and the Brazilian leapt the highest to head his second goal of the season for the Red Bulls. 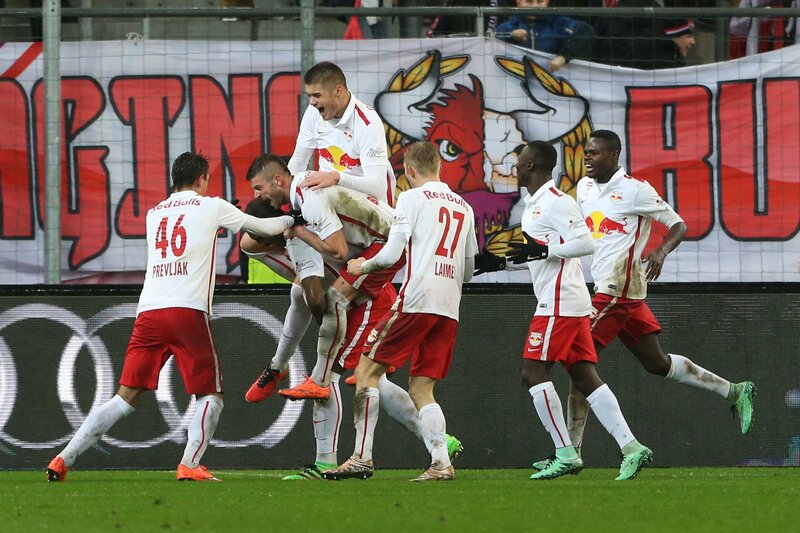 Salzburg then sealed things in the 83rd minute. 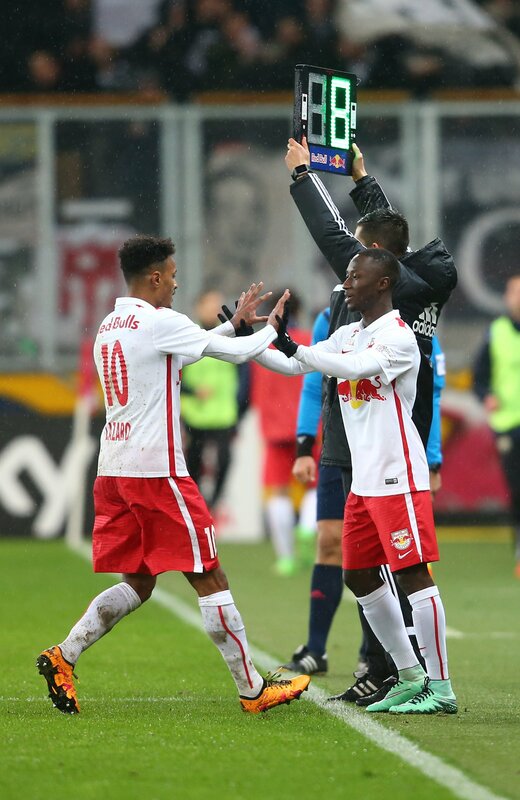 Andi Ulmer and Naby Keita linked up superbly to supply youngster Dimitri Oberlin, who smashed the ball inside the far post. We ground out a win today and the character of the team - especially in the second half - really pleased me. We should have scored the goals we needed in the first half though. I have said it before - that it will take six to seven months until we are playing the way I want. I am pleased with the result today though. We played well in the first half, only our final balls were a little too imprecise, unfortunately, and we were lacking that clinical touch a little. We tried a lot of different options from set pieces over the past week, which makes it even more pleasing that it worked out today. We were in control of the game for long stretches today. It definitely wasn't too easy, but it never is against Altach. We knew that it would be difficult with a man down, but we were able to step up a gear, and we deservedly won in the end. 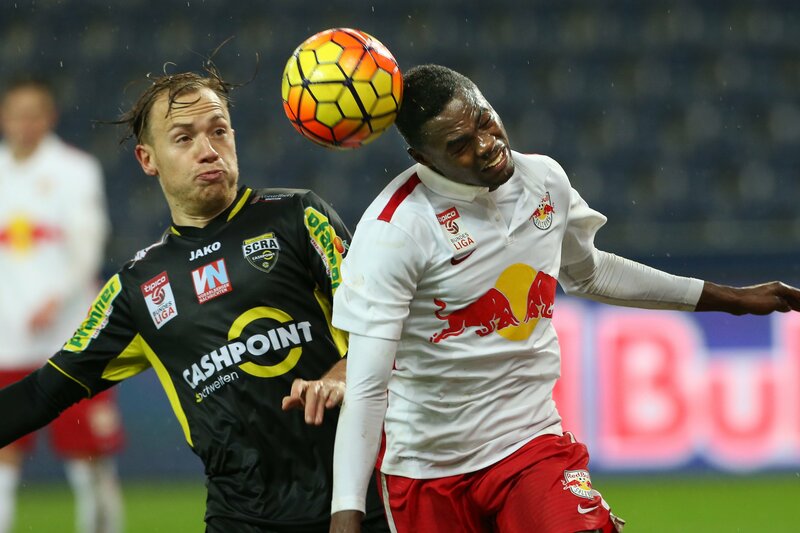 After six substitute appearances in the Austrian top flight, Dimitri Oberlin made his first tipico Bundesliga start today, as did our new Brazilian signing Bernardo. Paulo Miranda scored his second goal of the season - both coming with headers. Andi Ulmer started for the Red Bulls for the 200th time today. Not available were Hee Chan Hwang (thigh), Asger Sörensen (bruised foot) and Omer Damari (ankle injury). 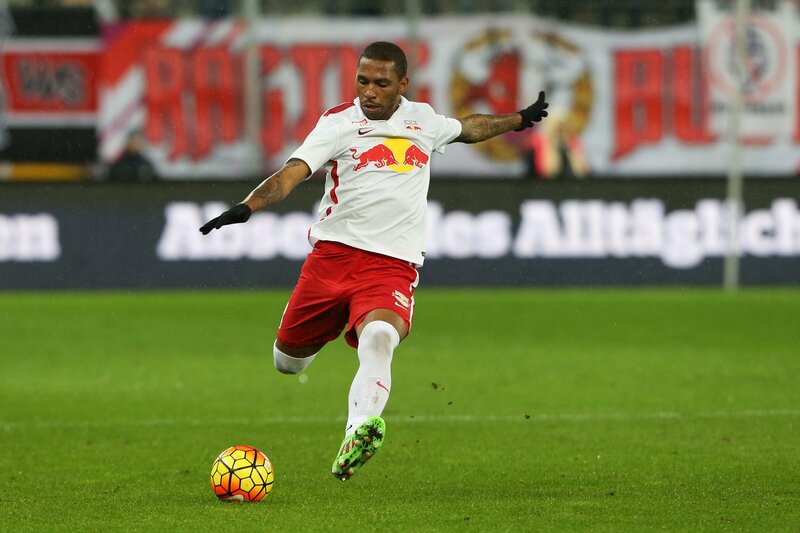 Christoph Leitgeb, Reinhold Yabo and Yordy Reyna are still out (all with knee injuries). Benno Schmitz was out suspended. On Monday the league winners' plate is going ON TOUR in Europark from 15:30 to 19:30, where it will be shown at its own stand. 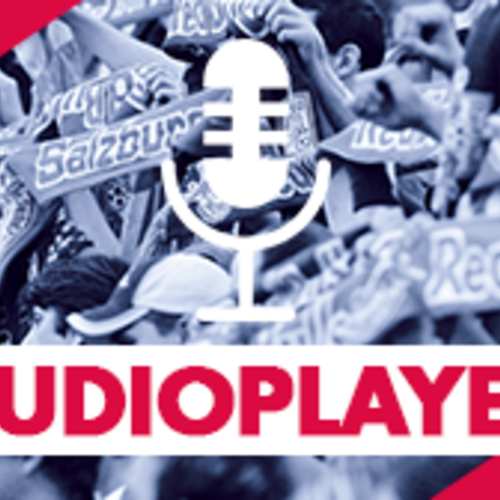 Naby Keita and Duje Caleta-Car will also be there to sign autographs (16:30–17:30). All the views from match day!